Acoustic Guitar Pickups - Your Ultimate Guide from Andertons Music Co. Sometimes there’s nothing better than simply sitting down and strumming your acoustic after a long day...but if you want to take your acoustic guitar up onto the stage, you’re going to need a way to be heard. Enter the acoustic pickup! In this guide, we'll explore the options available on the market, and how you can choose the one that's right for you! There are many different ways to amplify an acoustic guitar, and each one has its own distinct character. They all produce a recognisable acoustic guitar tone, but finding the one that's right for you can be tricky. In this article, we'll look at the three main types - magnetic, piezo and microphone – what they’re used for, and what they can do for you and your music! How They Work - Insulated copper wire is wrapped around a magnet, creating a magnetic field which is ‘disturbed’ by the vibration of a steel guitar string. This is identical to an electric guitar pickup. How They Sound - Warm and musical, with good string detail. Advantages - Sonic warmth, easy to control, and interacts well with effects. Disadvantages - Doesn’t capture the acoustic resonances inside the body itself. How They Work - The pickup is placed between the bridge saddle and the bridge itself, and vibrations from the string cause changes in pressure, changing the voltage of piezoelectric material. How They Sound - Very clear and direct, with purely ‘string sound’ rather than the resonances of the guitar’s body. Advantages - A very controllable sound with greatly minimised risk of feedback. Disadvantages - The sound can be a bit brittle, and is notorious for ‘piezo quack,’ a sharp overtone which most players dislike (but there are ways to combat it). Best For - Multiple styles. How They Work - Sound waves vibrate a diaphragm, which causes other components to vibrate. These vibrations are converted to an audio signal. How They Sound - Natural and realistic. A well-placed microphone will capture all the nuances of the guitar. Advantages - The most naturalistic sound reproduction possible. Disadvantages - There’s a risk of unwanted feedback, and the mic placement isn’t right your sound will suffer. Many players find that they get the best results by combining different types of pickup, taking advantage of the particular strengths of each. For instance, many players like to use an internal microphone to capture the resonance and sonic depth of the guitar’s body, with a piezo system used to capture the detail and attack. Or, if the piezo sound is too up-front for that guitarists’ particular musical goals, a magnetic pickup and a microphone will give you a very full, round, ‘big,’ natural sound with good detail. If your style is more rhythmic, a piezo & mic combination will give you a great representation of your guitar’s attack. If it’s more detail-oriented, a magnetic & mic combination will be more representative of what happens to the string throughout the whole life of the note. There are some piezo pickups (such as the K&K Sound Pure Mini) which are placed on the underside of the guitar top, giving it a much smoother voice than a regular under-saddle piezo. 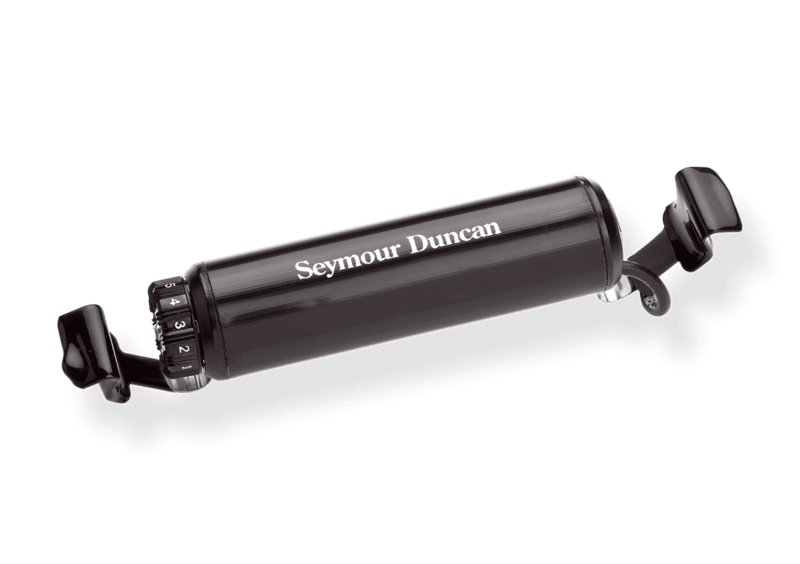 Seymour Duncan’s Mag Mic combines a hum-cancelling magnetic pickup with an omni-directional condenser mic in one unit. The majority of pickups (and some mic systems too) come with a preamp to further shape the sound. You'll often see small control panels on the sides or tops of the guitars. These most commonly feature a volume control and some kind of tone shaping. This can take the form of a simple ‘tone’ control, or perhaps individual knobs for different EQ options. You might also find a tuner built-in, often chromatic, meaning you can easily tune your guitar to alternative tunings. If your guitar doesn’t have a preamp, that’s often a good sign that it’s a very transparent-sounding unit, and it’ll usually sound great plugged into any acoustic amplifier, DI / mixing desk or a preamp pedal. On the other hand, a decent preamp can often be the difference between an average acoustic sound and a great one. Sire's R3 and R7 guitars feature carefully engineered pickup and preamp systems aimed to provide beautiful tones at affordable prices. Their Zebra SIB system ('simple is best') combines piezo and microphone pickups with a simple built-in 3-control preamp. Their Zebra 7 system uses a similar combo of pickup types but also provides you with a detachable preamp at no additional cost, giving you unprecedented control over your tone. Read more about Sire's acoustic preamps here. There are many pedal-based units out there and they give you a lot of freedom because you can choose exactly what you’re filtering your guitar sound through. Fishman offers a number of different Aura models in stomp box form, and the D-Tar Mama Bear has more of a ‘desktop’ design. This unit digitally filters your guitar to neutralise the sound of the pickup, then lets you dial in one of 16 ‘target instruments’ from parlours to super-jumbos. (below) Sire's Zebra 7 soundhole pickup and outboard preamp. Many acoustic guitar manufacturers offer their own built-in pickup systems. This includes Taylor, Martin, Gibson and Faith, among others, who each offer different versions of pickups and preamps pre-installed. How visible is it? - The pickup itself is invisible. Depending on the preamp, your guitar might end up with lights and knobs on the side. Expertise Required - Intermediate to advanced. How visible is it? - It’ll be visible in the sound hole, but some are designed to integrate with your guitar’s look. Amount of modification - Some models can be installed with no modification. Others require drilling etc. How visible is it? - The mic itself is invisible. Depending on the preamp, your guitar might end up with lights and knobs on the side. Ah feedback, the common enemy of live musicians, public speakers and studio engineers alike. Feedback occurs when a microphone 'hears' itself through a speaker or output source, completing a sort of 'loop' in the sound - this causes the signal to increase in size, generating unattractive frequencies! Phase Switching - feedback is made worse by the fact that the phase (shape of the waveform) of the signal (in this case, your acoustic) going into the mic matches the one that's feeding back into it, causing that ugly loop we were talking about. A phase switcher inverts the phase of your acoustic so that it no longer matches the signal coming out of the speaker. This reduces the chance of the signals clashing and causing unwanted noise. Phase switches can be found in some acoustic preamps or acoustic pedals, such as the LR Baggs Para Acoustic DI Box. Soundhole Cover - this does exactly what is says on the tin. It's a simple piece of (usually) plastic or wood that sits over your guitar's soundhole, preventing the sound of your strings going into the body of the guitar. This can prevent any sound from looping back into the pickup system, but as you may have already guessed, it can change the way your guitar sounds, particularly if you're using a mic system! EQ Adjustment - sometimes the simplest solution is the best! In some cases, you can isolate feedback to a particular frequency - for example, a common issue with acoustics is feedback in the low-mid frequencies. This means a full-bodied, intrusive rumble coming out of your speakers - to combat this, try tweaking the EQ of your guitar. This can either be done on the guitar itself using the built-in preamp (if you have one) or on a mixer / sound-desk / EQ pedal. Reducing these frequencies can reduce the chance of boomy feedback! Well there we have it, folks! The aim of this guide was to inform you of the different types of acoustic pickups available on the market today, and the advantages and disadvantages of each one! Will you be performing live? Do you want a DIY project? Are you on a budget? 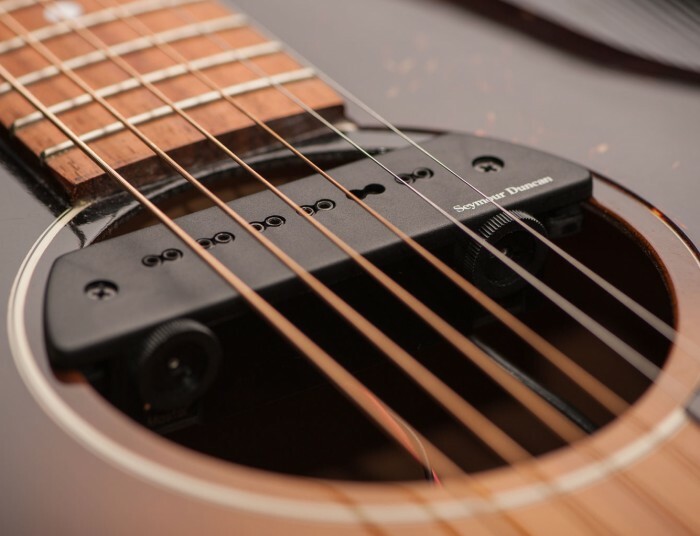 Hopefully this article has answered all of your questions and taken you one step closer to finding the right acoustic pickup system for you! While you're at it, why not check out the rest of our buyer's guides? You might just find something else you like!